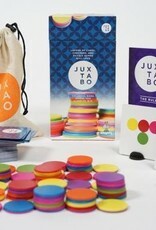 A fun 3D game where you stack colorful pieces to create the patterns on the challenge cards. 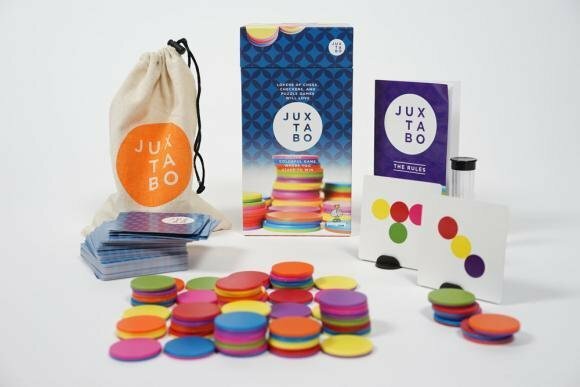 The board is different every single time you play because you create the board with juxtabo pieces. As you play, the board grows and starts to resemble a colorful mountain range!